Three words: Balenciaga in stock. Whoa! Expensive! A girl can dream, though. Unfortunately, on the budget of a struggling actress, I don't even dare to step foot in there. All I can say is thank God I don't have a credit card. Pretty jewelry. Again, the gasp worthy pieces are a wee bit out of my price range, but there are plenty of items to choose from that are under $100. The craftsmanship is unbeatable, and if you take good care of your jewels, you may find your teen daughter sneaking them from your jewelry box one day. This is, hands down, the best vintage boutique in Austin. I bought my beaded formal shorts there. The prices are a little higher than other vintage boutiques because the selection is top notch. Everything is in pristine condition and you won't find Urban Outfitters dresses mixed in to be passed off as authentic vintage. They did recently start carrying new shoes, though, but that's a good thing because now you can try on the newest Jeffrey Campbells there. I have never heard of this store, but that's probably because it's a home and garden store. I do my garden shopping at The Great Outdoors. Hubs does our home shopping at Home Depot. Classy, I know. I'll make a point to check this store out soon! If mother nature had a cool, with-it niece who was a clothing designer, her clothes would be at Kick Pleat. The aesthetic is drapey, earthy, and modern-- lots of sheer jersey knit and oddly enough, no actual kick pleats in sight. This is my favorite shop at The Domain, even if the shop girls are downright snobs. Heck, I, too, would probably act like an elitist if I were able to afford to be decked out in latest Current/ Elliot jeans and the newest Marc Jacobs tops, but had to work for beans at a mall. "As if! I'm only here so I can say I had, like, real life work experience or whatever on my college applications, mmmkay?" I don't care for Snobby Shop Girl, but I do still love the store for what's in stock! I am so happy P&L made this list! This is one of the jewels of South Congress. 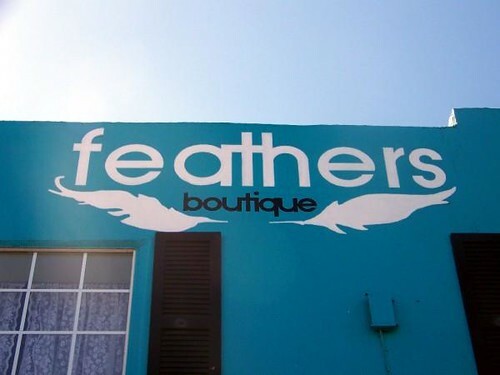 They only carry Texas based designers, and it's a must on my list when shopping for unique gifts and quirky t-shirts for Hubs. I think I walked for Shiki in a fashion show a year ago. I vaguely remember going in for my fitting and being impressed with everything, but sad that most things were well above my price range (after all, you're talking to a girl who if given $100 for shopping would probably stop at Savers, first!). I also kind of remember wearing the largest size of things in stock. Maybe things have changed, but last year the clothes in the shop were mostly size small. Beware! I go into this shop and then I lose about two hours of my life. No regrets, though! 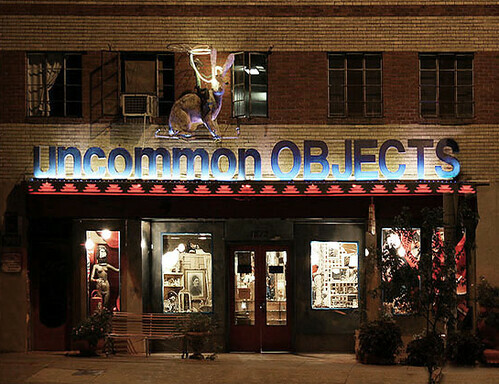 This is one of the most fun shops in Austin. It's room after room of antiques. There's lots of kitsch, but there's lots of hard to find to-die for home decor, too. As a reference, though, the prices are quite a bit higher than Room Service. Again, I've never even heard of this store, and that makes me feel lame. Their website is lacking, so I'm not entirely sure if I should make a special trip just to check it out. If I'm ever in the area, I'll stop by, especially because the bleh website says they carry Trina Turk.